The traditional saying goes, knee-high by the 4th of July, but as Wikipedia states, modern hybrids generally exceed this growth rate. Maybe the knee-high saying in more accurate in Northern states, but here in Tennessee this particular variety of hybrid corn grows to at least eye high by 4th of July. 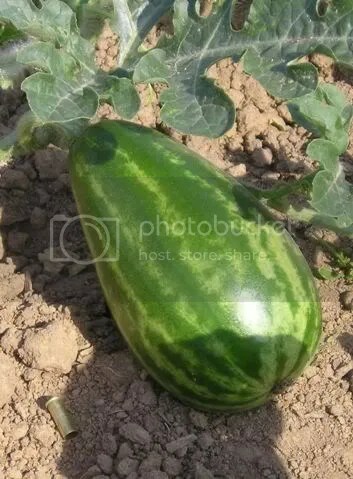 My precious baby watermelon has been growing fast. It grew a couple inches overnight night after it rained. There are at least three baby watermelons on the vine now and probably more. .22 rifle shell for comparison. 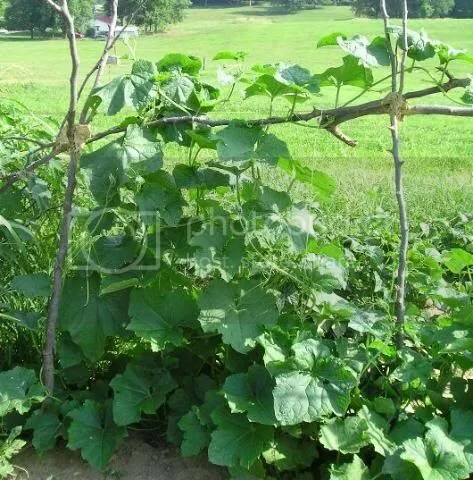 The ridgegourd is taking over the trellis! It has been putting out so many vines I don’t have more space. It is already bigger than I expected. It also looks like there are flower clusters in the leaf axials. I should take a photo just for the record. 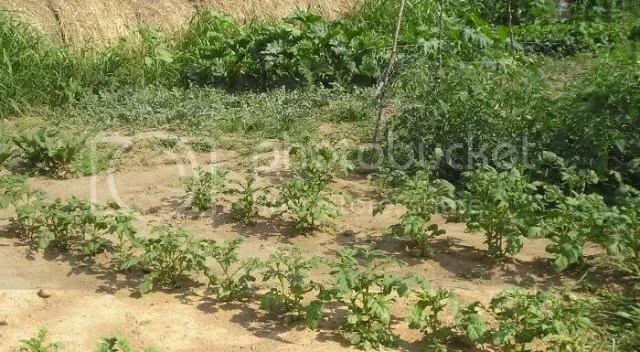 The potatoes also have been growing like crazy. Pretty soon they will be ready to be hilled up for the first time.